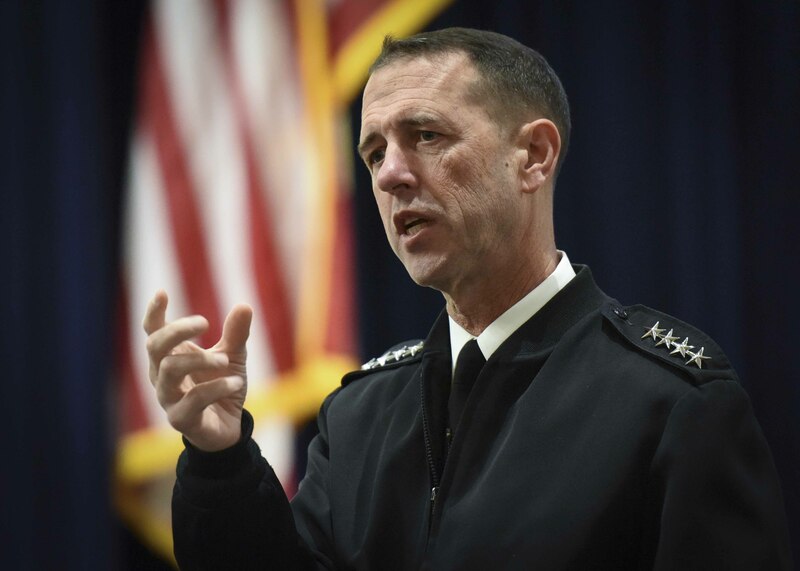 ARLINGTON, Va.– Great power competition with China and Russia is more protracted than ever and Chief of Naval Operations Adm. John Richardson said the Navy must continue to adapt to the challenge. To that end, Richardson — speaking at the Defense News conference — provided a preview of the next iteration of A Design for Maintaining Maritime Superiority. The strategy, due out in the fall, is expected to detail how the Navy will address ongoing competition with Russia and China. “Since the release of the National Defense Strategy, it’s really time to refresh the design,” Richardson said. The initial version, released in January 2016 shortly after Richardson became CNO, acknowledged Russia and China had significantly advanced their global military capabilities and detailed how the Navy should anticipate what post-Cold War great power competition looked like. “Their goals are backed by a growing arsenal of high-end warfighting capabilities, many of which are focused specifically on our vulnerabilities and are increasingly designed from the ground up to leverage the maritime, technological and information systems,” the document states as Russia and China’s motivation. Now there’s a realization in the Pentagon this competition involves both traditional forces but also facing-off in the cyber domain, something not mentioned when the first design was released a mere 33 months ago, Richardson said. The new design was slated to be released in June during the Naval War College Current Strategy Forum following the January release of the National Defense Strategy. In addition to the design, the Pentagon is also set to release a new national maritime strategy.